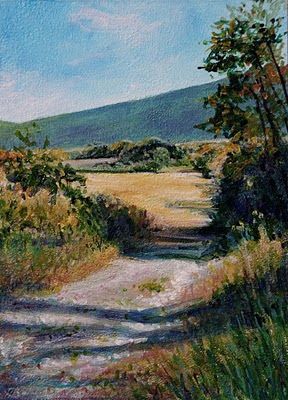 Driving north through the Berkshires, cornfields stretched dry and yellow under the blue sky, the hills mottled in greens and rust, painted blue and lavender with distance.
. . . and view more paintings for sale on Etsy.